The £2.2M project started in spring 2017 with works now continuing with the construction of the fourth catch-pit next to the road side. 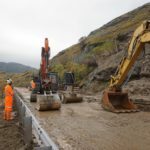 These landslide mitigation measures involve the excavation of debris flow catch-pits next to the A83. In addition to the catch-pits, works on the additional protection measures at Glen Kinglas, approximately three miles from the Rest and Be Thankful, will continue. The works at Glen Kinglas involve the re-use of the excavated rock from the Rest and be Thankful to form landslip mitigation bunds above streams along Glen Kinglas. 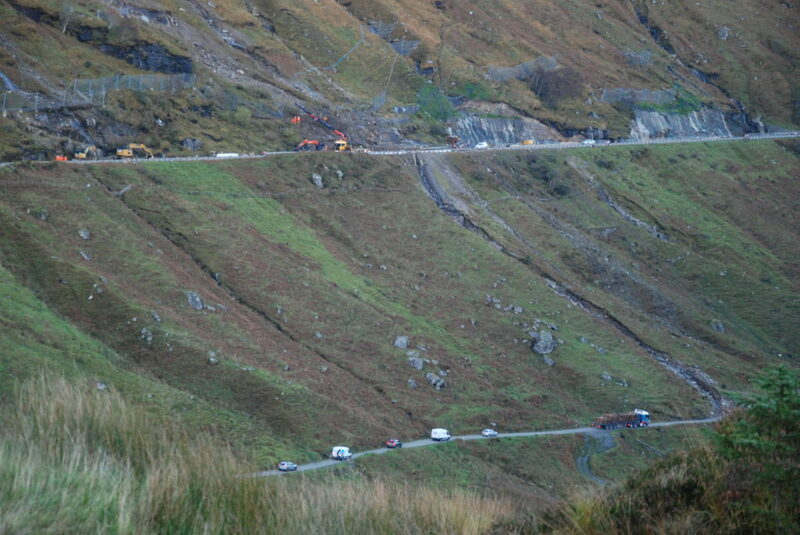 The bunds will help reduce the risk of debris reaching the A83 in the event of a landslide. 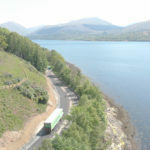 This project allows BEAR Scotland to maximise the benefit of recycling the material being excavated from the Rest and Be Thankful while minimising the overall cost of these works. Commenting on the works, Eddie Ross, BEAR Scotland’s North West Representative said: ‘The installation of the next stages of the mitigation measures will provide more protection and resilience against any future landslips blocking this key route at both the Rest and Be Thankful and Glen Kinglas. 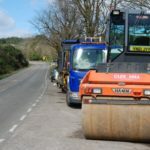 ‘The temporary traffic lights are necessary to keep our teams as well as users of the route safe during the works, and the teams will do all they can to complete the project as quickly and safely as possible.